Choosing the right Dentist is an important health decision. Dr. Leithner and his staff are trained on the latest dental treatments & technologies..
You Are Important To Us As A Person.... Not Just A Patient! 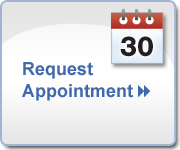 We are a caring, friendly team of dental professionals committed to providing a comfortable dental experience. At West Georgia Family Dentistry, you are important to us. Knowing each individual well helps us develop a personal, customized treatment plan for each member of your family. We take time to talk and answer questions. We explain procedures, what they will do for your smile and how much it will cost. We take the time to be gentle. Our friendly staff and relaxing environment will put you at ease. mouth healthy for a lifetime. Our office provides emergency care. If your emergency occurs during working hours you will be seen as soon as possible. We are on call after hours for our valued patients.